America’s Financial Vampires: Which Financial Institutions Are Sucking You Dry? All financial products carry a degree of risk, and most – if not all – consumers will at some time or another fall prey to questionable business practices by a bank or financial institution. The question follows: how, then, can consumers determine with which bank it is best to open an account, obtain a credit card, or sign a mortgage? Which will sustain you, and which will drain you? To answer this question, RewardExpert analyzed consumer complaint data from the Consumer Finance Protection Bureau for four categories: bank accounts, credit cards, mortgages, and loans. Knowing full well that the answer would vary from place to place, we organized the data geographically using regions defined by the first three-digit zip code. Using GIS software to visualize this data as a map we noticed more geographical patterns and disparities than we expected to find. In this first installment of a three-part series, we will identify the best and worst banks and financial institutions across the country, as well as the most striking geographical disparity that can be seen on the national level: either rural and urban America are not being treated equally by financial institutions, or else there are cultural, dispositional, or even political reasons to explain the sharp difference in complaints between the two. Even though our analysis was designed to be fair and even-handed to all financial institutions regardless of size, using the ratio of consumer complaints per capita, adjusted for total domestic bank assets, three of the top five receiving the most complaints are also among the top five banks in the U.S. by assets. The other two, however, are quite small and specialized by comparison. Ocwen Loan Servicing is a wholly owned subsidiary of Ocwen Financial, the fourth-largest servicer of subprime mortgage loans in the country. Ocwen takes first place on our list for its extraordinarily high rate of consumer complaints about its business practices on both a per-capita basis, and even more so in relation to its total domestic assets of $7.92 billion. With a total of 24,385 complaints filed with the CFPB, this amounts to a little more than three complaints for every million dollars of Ocwen’s assets (for reference, the second highest complaint/asset ratio of all financial institutions is 0.1348 per million for American Express). In 2013 Ocwen was sued by the CFPB and 49 states for mortgage servicing misconduct, and signed a consent order agreeing to a $2.1 billion settlement. Ocwen’s complaints are clustered in the suburban/exurban regions surrounding most major cities, with an additional hot spot covering the entire state of Colorado. While Bank of America has the highest number of consumer complaints across the country in total, as well as for both checking/savings accounts and mortgage loans, this is mitigated – slightly – by its large size and $170.5 billion in assets (third-largest bank by assets). Bank of America’s role in subprime mortgage lending is well-known, and as such it is not surprising that in this category it is second only to Ocwen in complaints. Bank of America’s terms, conditions, fees, and policies concerning checking and savings accounts are what secures their place on this list. Highlights (or rather lowlights) include high overdraft fees, as well as a policy of processing transactions in such an order as to maximize the incidence of overdrafts, and charging overdraft fees for overdrafts caused by overdraft fees. Geographically speaking, Bank of America receives complaints everywhere, with especially high rates being seen in cities and suburbs, as well as throughout the Mid-Atlantic and Pacific Coast regions. Say what you will about accounts with Bank of America; at least they were most likely opened with the customer’s authorization and knowledge. It is possible that, in the aftermath of the unauthorized account scandal that exposed many deceptive and downright vampiric business practices at Wells Fargo (for which the company was fined $185 million), the rate of complaints might well understate the issue. These aggressive and unauthorized sales tactics affected consumers of all types of financial products, as employees were encouraged to maximize the number of various accounts held by customers. Accordingly, Wells Fargo has high rates of consumer complaints across the board. In terms of geographical distribution, we found high rates of complaints everywhere except for New England and upstate New York, and a wide swath of territory extending through Appalachia and the lower Midwest to Oklahoma and Louisiana. Synchrony Financial is one of the worst banks that you might not recognize, even if you have a credit card provided by them. 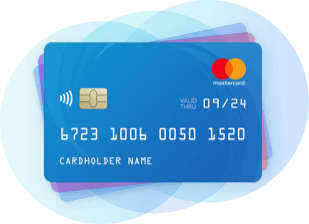 This is because Synchrony specializes in private label credit cards, for brands such as Amazon, Walmart, Lowe’s, BP, J.C. Penney, among others, controlling 42% of the private label card market. In 2014, Synchrony settled with the CFPB for $225 million in a consent decree for “deceptive and discriminatory practices.” The company was found to have engaged in discrimination against its Hispanic/Spanish-speaking customers by not offering certain promotions, and there is clear evidence in support of such practices in the geographical distribution of complaints. Almost every sizable, ethnically diverse city outside of New England had high per-capita rates of complaints, and diverse states such as Maryland, New Jersey, and Delaware saw high rates statewide. This suggests that Synchrony was only held accountable for one among many of their 'deceptive and discriminatory practices. Across the country, Synchrony Financial has the fourth highest rate of complaints per million dollars it holds in assets, at 0.125 complaints per million. Rounding out our list is Citibank, which carries the dubious distinction of receiving the most complaints about its credit cards, both absolutely and on a per-capita basis. Citibank lives up to its name, with virtually every large or mid-size city in the country being a complaint hot spot; the few exceptions including Providence, RI; Hartford, CT; Nashville, TN; Fargo, ND; Spokane, WA; and the Missouri side of Kansas City. The pattern is similar with checking/savings accounts and mortgage loans, with an even greater urban concentration in the former, and somewhat less in the latter. If you live in a major city or a nearby suburban county, Citibank may not be for you. 2. Bank of America, N.A. Not surprisingly, every financial institution at the top of our list with track records of good business practices and customer satisfaction is a smaller, regional bank (with assets ranging from $14 billion to $80 billion). At the top of our list is Arkansas-based Bank of the Ozarks, with an impressive record of only one consumer complaint received and recorded by the CFPB. With assets of $20 billion and branches in nine states, Bank of the Ozarks is one of the 100 largest banks in the country, but manages to keep its customers happier than many smaller banks and credit unions. CIBC USA, also known as Private Bank, is the US subsidiary of the Canadian Imperial Bank of Commerce, ranks 60th largest bank in the country (its Canadian parent company would rank fifth in terms of total assets). CIBC has an impressive track record of only 14 complaints received by the CFPB, of which eight concerned mortgages and six concerned checking or savings accounts. While CIBC only provides personal finance products and branches serving such needs in the Midwestern states of Illinois, Wisconsin, Missouri, and Michigan, it has other banking operations throughout the Eastern United States. Third on our list is Cathay Bank, a small ($14 billion total assets) but rapidly growing Chinese-American bank based in Los Angeles, with branches in Boston, New York, and a total of eight states. With branches typically located in the Chinatown area of cities in which the bank does business, Cathay Bank shows every sign of being an ethical company as regards urban and minority populations. Cathay Bank has only 13 complaints on file with the CFPB, eight regarding checking or savings accounts, and five concerning mortgage loans, or 0.0035 complaints per million dollars in assets. While there has been some controversy over the fact that First Republic Bank caters toward a wealthier, whiter clientele, this has not prevented it from maintaining an exceptionally good track record of customer satisfaction and relatively few complaints for a bank of its size ($80 billion in assets). In fact, it may help: it may be in this case better to make few loans to lower-income and minority borrowers than to market substandard and/or predatory financial products to them. City National Bank, now owned by the Royal Bank of Canada, is the largest bank headquartered in Los Angeles, with operations across the country, and a large client base in the entertainment industry. Nicknamed “bank to the stars,” City National boasts an impressive track record of treating all of its customers well: the CFPB only received two complaints concerning credit cards issued by City National, and 44 for issues pertaining to bank accounts and mortgage loans. Note: we defined midsize and larger banks as financial institutions in the top 30 nationwide by total assets. No bank in the top 20 qualified for our top five. UnionBank is owned by the Bank of Tokyo and Mitsubishi UFJ, with a headquarters in New York and almost 400 branches across the West Coast states of California, Oregon, and Washington. UnionBank is the 23rd largest bank in the country, with total assets of $116.7 billion, and is ranked at 62nd out of 80 banks for its complaints/assets ratio, with an impressive 0.0049 complaints per million dollars in assets. UnionBank’s rate of complaints is particularly low for its credit card products. Second on our list is Bank of the West, which is based in California and has over 600 branches and offices across 20 states in the Midwest, Mountain West, and Pacific Coast regions. Like UnionBank, CIBC, and City National, Bank of the West is a wholly-owned subsidiary of a foreign banking corporation, Paris-based BNP Paribas. At 29th largest bank in the US by total assets, Bank of the West has been the subject of 793 complaints to its $86.9 billion in assets which makes for an impressively low rate of 0.00912 complaints per million. The vast majority of these have concerned checking/savings accounts and loans, with an extraordinarily low number of complaints about credit cards issued by the bank of only 50 in total. Chicago-based BMO Harris Bank, one of the largest banks in the Midwest (over 600 branches and 1,300 ATMs) and 26th largest in the country, comes in at third on our list. The bank has received comparably low rates of consumer complaints, which are even lower when taken in the context of its $106 billion in assets (a rate only slightly higher than Bank of the West, at 0.0098 per million). Like Bank of the West, BMO Harris performs best on credit cards. Huntington National Bank is only slightly smaller than BMO Harris, with $101 billion in assets, and likewise relatively few complaints it issues. In fact, on this metric Huntington does even better, but its average rating suffers from a higher rate of complaints concerning its retail bank accounts. Nevertheless, for a bank of this size, 0.018 complaints per million in assets is an unusually low rate. Completing our list is yet another US bank owned as a subsidiary by a foreign financial firm, BBVA Compass, owned by the Spanish multinational corporation Banco Bilbao Vizcaya Argentaria. BBVA Compass is the 30th largest bank in the US, with 688 branches and $83.9 billion in assets. BBVA has a complaint rate only slightly higher than our last entry, 0.02 per million in assets, with even lower rates for its mortgage, loan, and credit products. While BBVA has received more complaints for its checking and savings accounts, it is worth noting that it is one of the few major US banks that does not participate in Chexsystems, which makes it a good option for those who have been burned by other banks and otherwise unable to open a checking account due to their account history. 1. MUFG Union Bank, N.A. 3. BMO Harris Bank, N.A. Both in the aggregate and broken down by financial product, we have seen with only a few exceptions to a pattern where cities and suburbs, as well as densely populated and ethnically/economically diverse regions exhibit higher rates of consumer complaints, even after adjusting for population. There is a significant urban/rural divide in banking complaints and, one would assume, business practices. RewardExpert analyzed data from the Consumer Finance Protection Bureau on consumer complaints. This data set included complaints concerning all types of consumer finance products offered by US financial institutions. We filtered this data set to create sets containing 1) credit card complaints, 2) bank account complaints, 3) loan complaints, 4) mortgage complaints, and 5) debt collection complaints. We have used primarily credit card, bank account, and mortgage complaints in the present report. We then used the zip codes provided with each complaint to analyze the data geographically. We used 3-digit zip code areas to aggregate complaints. We did this for all complaint types, broken out by financial institution. We computed per-capita complaint incidence rates on this scale. We calculated complaint rates for each category and in total for each bank A) in terms of the total assets held by each bank, and B) in terms of the proportion of all complaints in each category and in total. We combined these two values to calculate an overall ranking of banks. Sources: Consumer Complaints (CFPB), 3-Digit Zip Code Areas (Census Bureau), Large Commercial Banks (Federal Reserve).